Dear friend,Following the outrageous ouster of Tower Hamlets’ Mayor Lutfur Rahman an emergency meeting has been called to protest the racially skewed judgements of judge Richard Mawrey. The trial follows a sustained establishment campaign against Mayor Rahman initiated by Tory Eric Pickles. Please share the Facebook event as widely as possible. Judge Mawrey’s comments are demonstrably false. 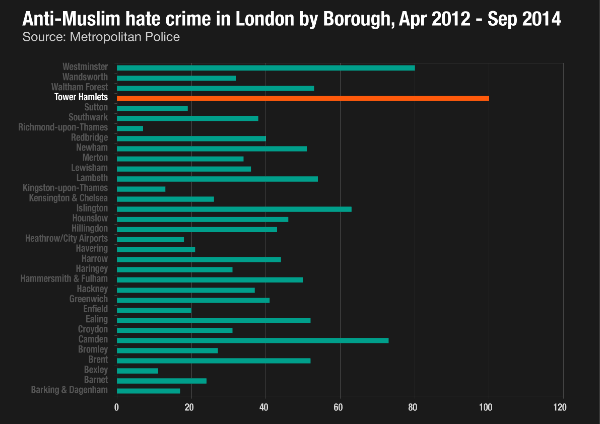 According to Metropolitan Police figures there have been more anti-Muslim hate crimes in Tower Hamlets in the last two years than in any other borough.